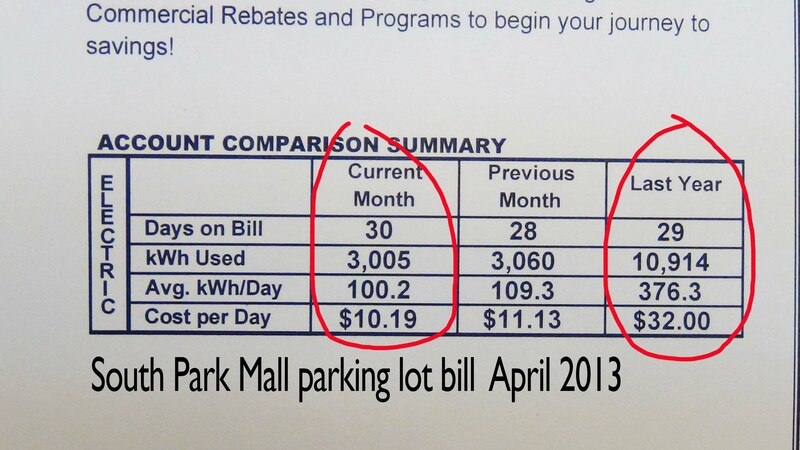 South Park Mall is saving about $4,000 per month after it upgraded to LED lights — and that’s just in the parking lots! They’re one of CPS Energy’s many commercial customers now saving big bucks after taking advantage of CPS Energy’s Commercial Outdoor Lighting Rebate, which pays up to 40 percent of a project’s total cost. As a Business Account Manager at CPS Energy, my job is to provide exceptional customer service to our retail customers such as malls and “big box” retailers like Target, Macy’s and Home Depot. One way I do this is by being available 24/7 to answer their calls regarding outages, billing issues and, in this case, rebates. With the assistance of our rebate team, CPS Energy was able to help South Park Mall Manager Cesar Rodriguez make the decision to upgrade their lighting. Now, with the LED bulbs, South Park Mall has better lighting coverage and a five-year replacement warranty. Most importantly, the new bulbs are very energy efficient. Our rebate program is one of the best in the country. Most of my customers are headquartered outside of San Antonio. They often tell me that CPS Energy has one of the most generous rebate programs in the country when compared to other electric companies across the nation. That’s because CPS Energy is serious about saving energy. Our Save for Tomorrow Energy Program, or STEP, is committed to saving 771 MW by 2020 — that’s the output of a large power plant. By saving that much power, we push off the need to build another costly plant for several years — and that saves customers money. If you’re a commercial customer looking to lower your electric bill and take advantage of our rebates, check out cpsenergysavers.com/commercial for more information. Want to boost those holiday deals? Read the energy label.